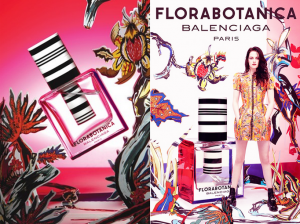 Florabotanica is a new Balenciaga release from 2012. After their Balenciaga Paris release, I had to give this one a try. If for nothing else than its beautiful bottle design. In Bottle: A nice rose, tame and green and fresh. Not fake and overly sweet. 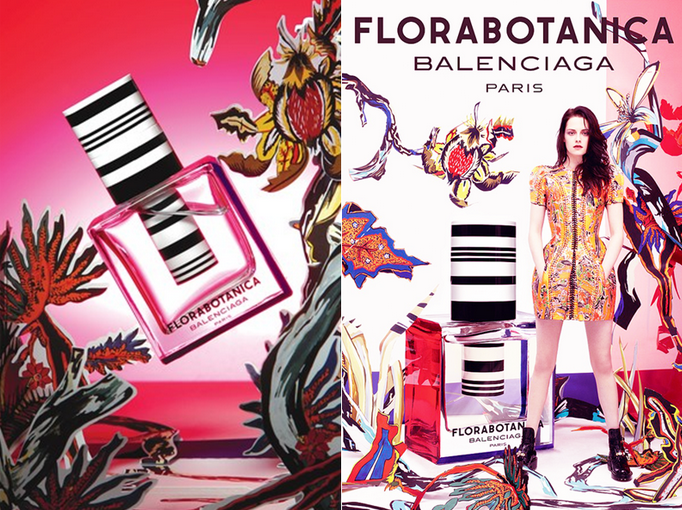 Applied: Balenciaga’s fragrances tend to excel at being understated and Florabotanica seems to be heading in that same direction. It’s sold as a fragrance for a younger audience, but doesn’t patronize them by loading itself up with fruits and a cheap-smelling rose. The rose in Florabotanica is well-mannered, having a fresh green spicy kick to keep it on the ground. The dry down is a nice grassy amber with a prominent rose. I get an impression of Juliette Has a Gun’s Lady Vengeance with a little less concentrated prettiness and more girlish charm. Extra: Florabotanica was released in 2012 with Kristen Stewart as the campaign figurehead. Design: Love the bottle design. Bold, modern and fashionable. I was somewhat questionable about them using Kristen Stewart as the face of the fragrance, but I love everything from the styling to the photography to the campaign itself. It’s stern and not at all silly. Notes: Mint, rose, carnation, amber, vetiver. The thing Florabotanica reminds me of is preppy clothing. It makes me think I’m shopping in some teenage store where all the teenagers play water polo, have stables of horses, and have parties on their yachts. I don’t know why it makes me think of this but the fresh, screaming clean rose just sort of fits the imagery. It’s not Lady Vengeance as I think Juliette Has a Gun’s rose fume was a little more likeable but Florabotanica is a good, pleasant addition all the same. 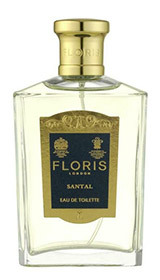 Reviewed in This Post: Florabotanica, 2012, Eau de Parfum. Another sample from the truly awesome, Steve from The Scented Hound. 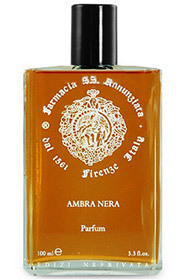 Ambra Nera is a parfum concentration amber scent that smelled pleasant from the sampler vial. In Bottle: Smooth amber with a blast of eucaluptus and a hint of patchouli and touch of cypress. Applied: The first thing I got from Ambra Nera was the eucalyptus, followed by the amber and a nice sense of warmth. The cypress rolls in during the midstage giving the scent a touch of woodsiness without being too overwhelming, the fragrance as a whole takes on a slightly green feel near the end of the mid-stage as it rolls into a lovely powdered amber with a hint of sweetness. Very pleasant, exquisitely sophisticated, and rather surprising as I was expecting something a bit more bold from this, but its softness is very appealing. Extra: Ambra Nera was the brainchild of Farmacia SS. Annunziata dal 1561. It’s available on Lucky Scent. Design: Pretty simple bottle, but gets the job done. Looks nice, simple and modern. Nothing garish on this so it can sit anywhere and suit just about any style. Notes: Cypress, eucalyptus, amber, benzoin, vetiver, vanilla, patchouli. Very pleasantly surprised with Ambra Nera, I enjoyed the subtle sweetness of the amber and its nice soft progression. Reviewed in This Post: Ambra Nera, 2012, Parfum. Another sample that was sent to me from Steve at The Scented Hound. I wore Royal Pavilion to work one day, feeling like something ought to mix things up a little. 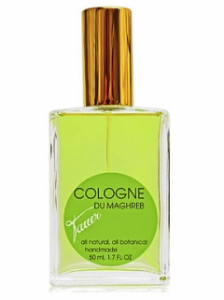 In Bottle: Jasmine, plenty of it mixed with ylang-ylang with a base of sandalwood and a pretty, juicy, mimosa. Applied: I get the Ylang-ylang before I get the jasmine when applied. It flares up first and stays up, giving the scent this dusty floral vibe. The jasmine brings it down a little closer to familiar territory with a nice mimosa in the background and a rose that settles near the base. I had expected something else from Royal Pavilion. Perhaps more cypress or green. What it is delights me, however. With it’s classically beautiful floral and it’s nice sandalwood touch upon dry down. There’s warnings of civet and castor in this too, and I had a couple of faint whiffs as I sat in the back and wondered if anyone else noticed. Royal Pavilion was like a quiet, peaceful journey with a light bump at the end. It envelops you in lovely, classical floral notes then when you’re at the end and enjoying your sandalwood fade, a couple of small animal notes hits your nose just to make sure you were still paying attention. Extra: I went into this knowing very little about Royal Pavilion. It was very much a random pick as I was running out the door in the morning. So I was surprised to find this was released in 1989 because I was going to peg it for a few years earlier. Design: Bottled in much the same way as other Etro fragrances, in a very nicely shaped class flacon with a silver cap. Nice and simple with just enough design elements to impart “luxury” without any gaudiness. 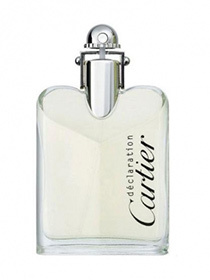 Notes: Jasmine, ylang-ylang, rose, mimosa, violet, sandalwood, vetiver, oakmoss, castor, civet. Lovely scent, very excited that something from the late 80s is still around and kicking. Kudos, Etro! Reviewed in This Post: Royal Pavilion, ~2012, Eau de Toilette. I want to believe that we aren’t smack-dab in the middle of January and that it’s going to be summer soon and I’ll have time to build that planter box I always wanted in the backyard to start a vegetable garden. But the truth is, we are smack-dab in the middle of January and to ease the winter blues a little, I tested out Bronze Goddess that Undina from Undina’s Looking Glass very kindly sent me. In Bottle: Coconut, with a smooth floral and a hint of jasmine. Very nice and very summery. Just what I wanted. Applied: Coconut top note with a lovely citrus backing it up. The citrus mellows out as does a lovely soft jasmine note flows in. The coconut is taken away from bubbly, girly, silly coconut scents and given this grown-up edge that reminds me of something expensive and the jasmine with the tiare notes really help give it that sophisticated feel. I get the suntan oil comparisons some people have for this, but suntan oil tends to be more one-dimensional and Bronze Goddess definitely has more going on than coconut. Bronze Goddess reminds me of clean, fresh linens, coconut, and a tropical holiday. It dries down with a more mellow coconut note and a classy white musk with sandalwood that keeps the fragrance away from “teenaged girl coconut” and more in the territory of “grown-ups coconut”, heck, I almost smell the salty sea air and the beach sand in this. 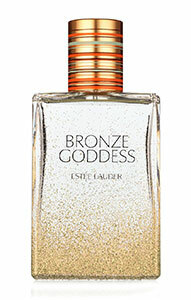 Extra: Bronze Goddess was an Estee Lauder limited edition and disappeared in 2011. If you want to get your hands on a bottle, some discounters still carry it, eBay has it, but otherwise, you might have to wait and see if Estee Lauder brings it back at some point. Design: Simple and lovely. The design has this tropical, summer, beach vibe to it that’s very appropriate. It’s clean and bells and whistles free with a warm color palette. Just the way I like it. Notes: Mandarin, bergamot, jasmine, tiare, orange blossom, magnolia, myrrh, amber, vetiver, caramel, coconut, sandalwood. I really like Bronze Goddess. It is the quintessential smell of summer and the tropics to me. It’s light, it’s pretty, and it makes me happy! What doesn’t make me happy is the fact that it’s discontinued and really needs to make a comeback. Reviewed in This Post: Bronze Goddess, 2011, Eau Fraiche. 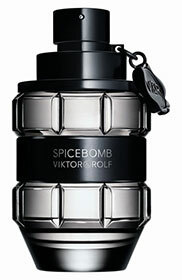 Considering the complete lack of flowers in Viktor & Rolf’s very popular, Flowerbomb, I had to try out Spicebomb to see if it lived up to its name. In Bottle: In short, no, this isn’t a spice bomb. It’s rather pleasant though, sweet and warm with a hint of spiciness. Applied: Initial spray of bergamot that settles into a sweet cinnamon candy scent that makes me think Spicebomb is taking the same “bomb” approach as Flowerbomb. Which also leads me to think Viktor & Rolf’s idea of a bang is something sugary. The fragrance ages into a more mature spice as I keep wearing it, but it never shakes the sweetness that it gathers in the top notes. The scent takes on a stronger cinnamon and peppery scent as it flows into its end stage with a wilting smoky tobacco scent and a bit of synthetic-smelling leather. Over all, I’m not all that impressed, but the longevity was fairly good, giving me a decent ten hours of wear. Extra: If you were wondering what the elemi note listed below is, it is a resin from a tree. I didn’t get much resin from this. Design: The shape is somewhat reminiscent of Flowerbomb, given more angles and straight edges to appeal to a more masculine audience, I guess. I don’t really like it and think this particular depiction is a bit lame. Sorry, Viktor & Rolf. 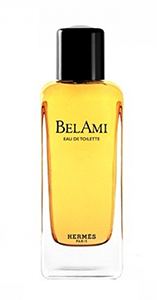 Notes: Bergamot, grapefruit, pink pepper, elemi, saffron, cinnamon, pepper, paprika, vetiver, tobacco, leather. Spicebomb failed to impress me in numerous ways. The fact that it started out sweet and reminded me of a more gourmand Flowerbomb didn’t really help matters either. Reviewed in This Post: Spicebomb, 2012, Eau de Toilette.